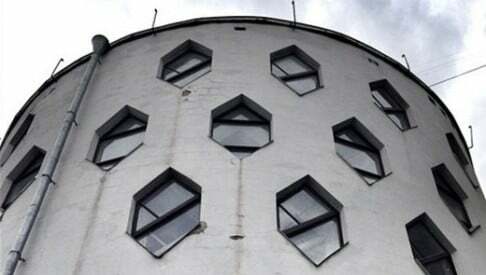 Melnikov House, an iconic avant-garde building in central Moscow, is to become part of a new museum complex, the Ministry of Culture has announced. In the grounds of the house, built in 1929 by Konstantin Melnikov, a prolific avant-garde architect, painter and professor, a new museum will be built dedicated to his work and his painter son Viktor. The new museum, the construction date of which has not been announced, marks the latest chapter in a series of legal wranglings over the threatened building. Once completed, Melnikov House, a three-storey building with an innovative spiral construction, will host tours. In the Twenties, Melnikov was celebrated as a great architectural pioneer who expressed a new Soviet vision. But his individualistic approach to his work eventually motivated the Soviet government to ban him from practising architecture, and from the Thirties, he was considered a national disgrace, making a living from low-paid jobs until his death in 1974. Melnikov House was built by the architect as his own home and remained an extremely rare example of private housing throughout the Soviet period. Since then, the Melnikov house has been the object of a bitter feud between Viktor Melnikov’s two daughters. While Yekaterina Karinskaya is determined to carry out her father’s wish set out in his will, which intends the house to be passed to the state to become a museum, Yelena Melnikova remains resolute that at least part of the house is hers. Although the lawsuit regarding the ownership of the house has yet to be entirely resolved, it has been decided that the State Museum of Architecture owns half of the property and can continue with its plans to renovate the property and turn it into a museum. The new museum will be an arm of the Museum of Architecture, which also has plans to incorporate the personal collection of art belonging to Viktor Melnikov. It will house more than 500 artefacts, and feature an authentic piece of the house’s original flooring, which was preserved during the restoration of the building in the late Nineties. Melnikov House was damaged during the rebuilding of a neighbouring building with an underground car park, which threatened its foundations. Following pleas to the mayor of Moscow from Russian preservation organisation Archnadzor last year, an independent commission was set up to evaluate the condition of the house, resulting in a declaration of the need to preserve Melnikov House.